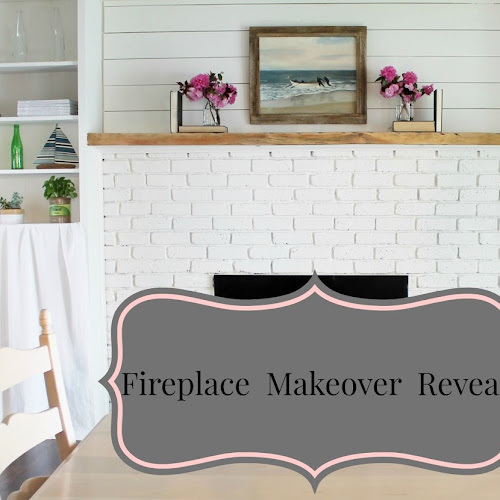 Paint is a great way to change the look of furniture. 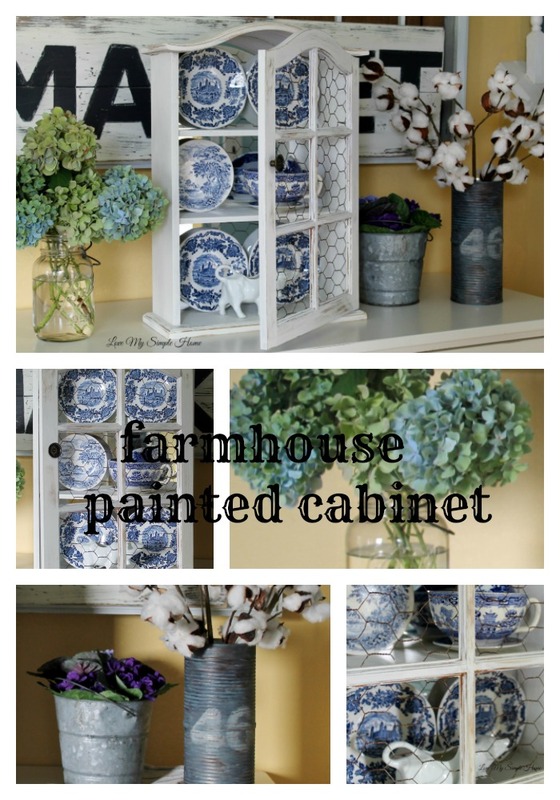 I took a small curio cabinet and used white latex paint to give it farmhouse style. I use the cabinet to display my collection of blue and white plates. Before I started to paint, I prepped the cabinet. Stripped the original stain using a palm sander. Next I was off to my favorite home improvement store to purchase the paint. I like to buy oops paint for my furniture projects, so I headed over to that section. I was in luck when I found two sample jars of white latex paint for $1.00. Paint samples are great for small projects like this. In case you're wondering what oops paint is, it is paint that home improvement stores tint incorrectly and the purchaser is unhappy with the color. If you want to save some money on paint, find out where the oops paint is in your home improvement store. Now it was time to paint the cabinet. I gave it two coats of paint. After the paint dried, I distressed the cabinet with sandpaper. I purchased a roll of chicken netting and used my wire cutters to cut the size I needed for the door. Since I was going Farmhouse Style with the cabinet, I wanted the shiny chicken netting to look rusty. My solution....Shop Michaels Online . I used Burnt Umber acrylic paint from their Folkart collection. It is a water-based acrylic paint with great coverage and cleans-up with just soap and water. I brushed it on with a foam brush and that was it. Small screws and staples were used to attach the chicken netting to the door. I love blue and white, so it was a no brainier as to what I would display in the cabinet. I have been collecting blue and white plates over the years. I have some displayed on my wall and on a plate rack in my kitchen. Now I can display some in my new farmhouse cabinet. If you like this project feel free to pin it! What a great transformation!! Beautiful!! Thank you so much Deb! I love hearing your kind comments. Have a beautiful night. Wow, actually you made me surprised. You got amazing ideas to do with your cabinet. I think i need to visit your blog regularly. Thank you. What an awesomwe farmhouse piece. It looks totally different from before - if you do no tell, I have no way to know it. I love this cool idea! It wil more animated if we use pink and some cute stickers, isn’t it? Wow,what a creative idea! Being a working mom leads me to overlook the decorations of my house. Thanks for inspiring me! From a rather ordinary brown wood cabinet to a lovely fresh piece of furniture. The power of colour and imagination. Lovely post Julie. Thanks for sharing. I am off to my local charity shop to find a painting project! !